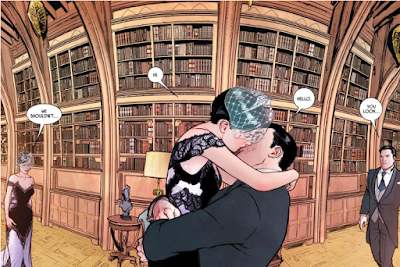 I have just read the most anticipated event of the year for DC Comics (if you don’t mind excluding Bendis’ new take on Superman): Batman and Catwoman’s wedding in Batman #50. Well, I’m not worried about giving spoilers away because The New York Times already did it, but if you didn’t see it yet I recommend you to stop reading it right now. 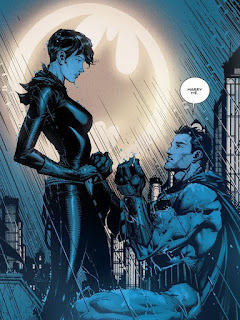 Newsflash: All the build up that happened during the past year since Bruce proposed to Selina in that beautiful rooftop panel in Batman #24 was nothing but a bluff. The wedding itself doesn’t actually happen. At least not in this issue especifically. That got a lot of fans, and comic book retailers, pretty upset. After all, they were preparing to buy celebratory variant covers and organizing midnight events for this historic happening. A few days before, though, DC spoiled the whole plot to the press and ended up spoiling what would have been one of the greatest Batman moments in recent history. However, was it though? 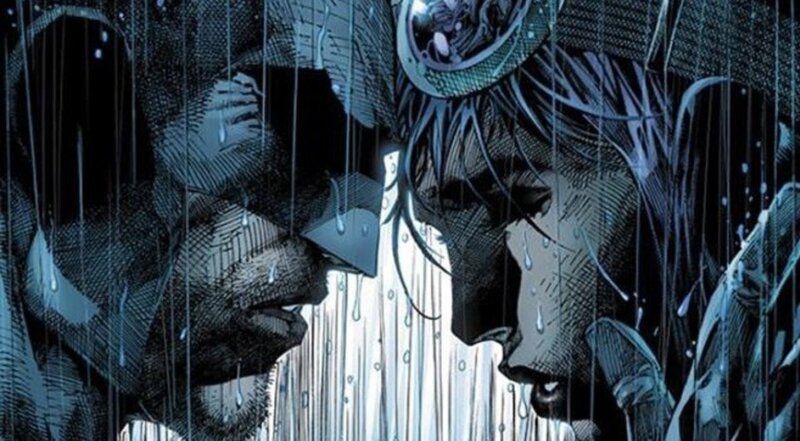 I believe DC was just testing the waters, to find out if the readers really wanted to see Batman getting married. And, not surprisingly, yes, we do! Why? See, Batman is ready for this new step. A few years ago people wouldn’t accept Batman having a biological son, but when Damian was brought into the equation fans fell in love with this character who is considered by many as the best Robin Bruce has ever had. Batman has always been seen as the perfect antithesis of Superman. While one is the night, the other one is the day. One sees the world through a dark point of view while the other prefers to look for the bright side. 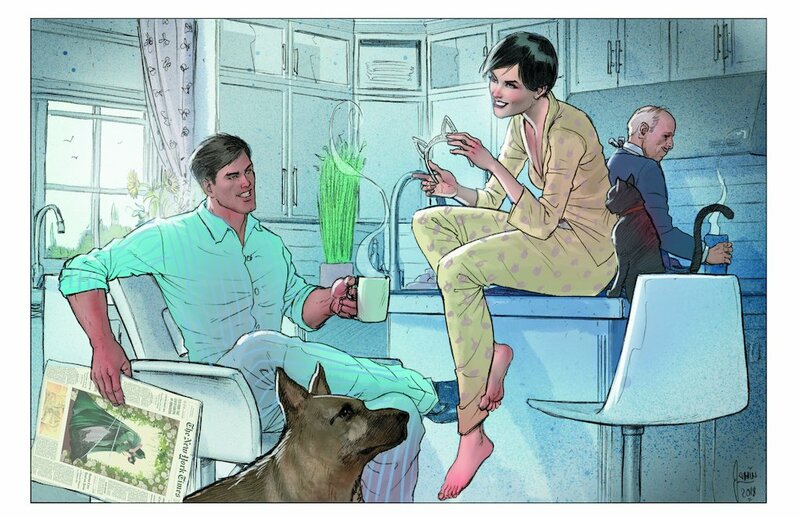 And Batman’s messed up family would be the perfect response to Superman’s perfect life. After all, Clark married Lois, the love of his life, and had a sweet boy: Jonathan, who became the adorable Superboy. Bruce Wayne, on the other hand, had several love interests. From a weird relationship with Thalia Al Ghul, daughter of Ra’s Al Ghul, one of his deadliest enemies, a son was born: Damian, raised to be the perfect killing machine. Damian has no filter and his f**k-off-attitude helped him being loved by many. Now, imagine adding Selina Kyle, a former prostitute turned into a villain turned into a wife, as a stepmother to young Damian? Now imagine the family reunions: Waynes and Al Ghuls together for a thanksgiving dinner? That would be a plot to look for. Don’t think marriage would destroy Batman, just like fatherhood didn’t. It would bring more layers of emotions to the character. And, oh boy, I would love to see Lois and Clark inviting the Waynes to Jon’s birthday party. Imagine how Damian and Selina would react in a situation like that? You see, Batman has a lot of room to become an even more interesting character with this married life. What could happen in this iconic issue? Action Comics #1000 brought nice stories and the first appearance of Rogol Zaar, but there was something missing in the issue. It failed to present some historic event there, just like Action Comics #1 presented Superman to the world. 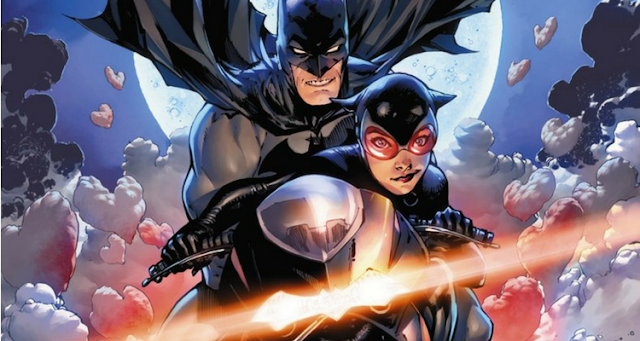 Detective Comics could be the step ahead. 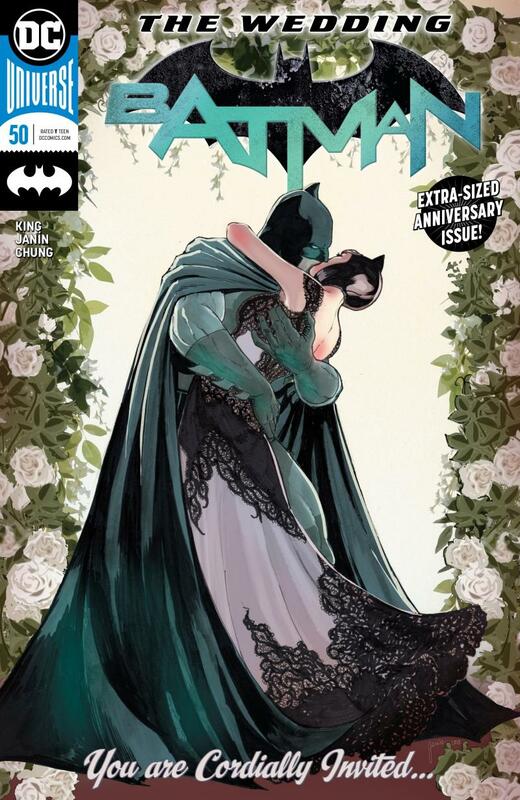 DC Comics could use this landmark issue to present, maybe as a surprise, the event of a lifetime: Batman and Catwoman’s wedding. Now the publishing house knows the public wants it to happen. Rumour has it Batman #50 would provide the necessary feedback for DC to know if they should go on with the wedding plans. Guess what? The feedback is there. And I believe now DC will be smart enough to marry Bruce and Selina in an iconic issue, just like this historic event deserves. In the meantime, start reading the new CATWOMAN series, by Joelle Jones and Laura Allred. It's simply amazing! woww i love this story, It's very interesting and amazing. De Angelis Ark © 2015 | Some Rights Reserved.